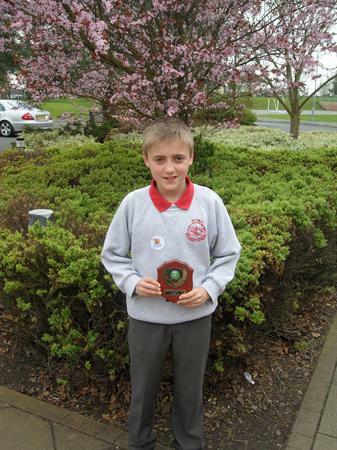 Thomas Roscoe came 1st in the boys Lisburn Primary schools' cross country challenge. He won easily with the boy in 2nd place a good 200m behind. Thomas was presented with this plaque. He will now go on to race in the South Eastern Area final.